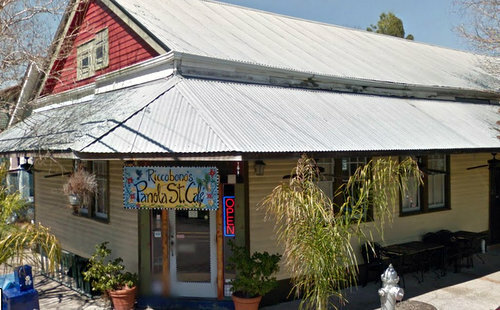 Members of the New Orleans City Council enthusiastically approved a request last week by Riccobono’s Panola Street Cafe in Carrollton to add alcoholic drinks like bloody marys and mimosas with its daily brunch menu. Riccobono’s request had provoked some concern within the neighborhood that the restaurant planned to stay open later as well, possibly becoming a nightspot. At a series of meetings starting last fall, restaurant owners assured neighbors that they plan to keep their current hours, but simply want to be able to compete with other brunch spots where cocktails are served. “The goal is to be the place we have been all this time, and have one more offering on the menu,” said Joe Riccobono, son of owner Vincent Riccobono, in a meeting with the Central Carrollton Association in October. H.V. Nagendra and Teddi Locke of the Central Carrollton Association told the New Orleans City Council on Thursday that they have since worked out a good-neighbor agreement with Riccobono’s and support of the request. Nagendra praised the city’s Neighborhood Participation Plan process, and thanked the Committee for a Better New Orleans for moderating the meetings with Riccobono’s. In an aside, discussions during those meetings led the neighborhood to questions about why zoning laws do not give the city more control over the placement of video poker machines, Nagendra said. City Councilwoman Stacy Head said video-poker is regulated by the state because of its possible connection to “organized crime,” and encouraged Nagendra to take his concerns to the state. The Riccobono’s request also came with the support of the City Planning Commission, which said the additional menu item won’t lead to an increase in traffic or parking around the spot. “The staff does not believe the sales will have any significant impact on surrounding properties,” said city planner Stephen Kroll. Councilwoman Susan Guidry praised the neighborhood for making sure their concerns were addressed, and Riccobono’s “for hanging in there with the neighborhood.” The Council voted unanimously in favor of the alcohol sales, and the two council members then expressed their excitement over the change. “Congratulations on brunch with bloody marys,” Head said. “Everyone go to Riccobono’s and have a mimosa,” Guidry chimed in. Great!! They are a wonderful neighbor & a delicious restaurant. Great, when can we expect to see these added to the menu?